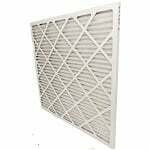 This air filter is the right choice if you're looking for an economical upgrade from cheap 1 month filters. The Filtrete "Blue Filter" features electrostatically charged fibers and is ideal for high-velocity heating/cooling systems. 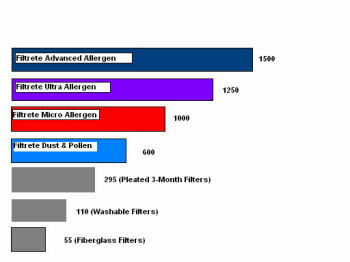 Even though Filtrete offers two better filters than the Dust Pollen Filter, (the Micro Allergen & Ultra Allergen) the Dust & Pollen Filter is still more effective than the average washable or fiberglass disposable air filter which normally does not even remove dust from the air. Pollen when ingested into the human body causes the immune system to produce large amounts of antibodies, which in turn causes chemicals such as histamines to be released. The release of these chemicals cause the body to have symptoms such as sneezing, runny nose, and watery eyes. Mold Spores When mold found in wood, ceiling tiles, wallpaper, paint, carpet, sheet rock, and insulation is disturbed mold spores are released into the air. Mold spores can cause symptoms such as sneezing, runny nose, and itchy or watery eyes. Dust Mite Debrisa combination of dead skin and dust mite feces, this debris lives in our beds, chairs, couches, and our children's stuffed animals. Dust Mite Debris is almost as effective as pollen at causing symptoms such as sneezing, running nose, and watery eyes. Household Dustdust accumulates everywhere in your home; carpets, tables, TV screens, clothes, walls, etc. Simply walking around in your home may disturb or "stir up" dust into the air which can irritate your immune system. Lint minute pieces of fiber that come from fabric, plants, paper, etc. that float around in the air. Lint can cause allergic reactions in some people. The 3M Filtrete Dust Pollen Air Filter lasts 3 months and meets the Meets the American Lung Association Health House Indoor Air Quality Guidelines. MPR or Microparticle Performance Rating represents the effectiveness of a filter at capturing the smallest airborne particles measured in the industry standard test. 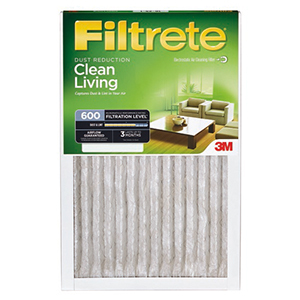 This Filtrete filter received a MPR of 600. Merv 8. Want to save even more money? 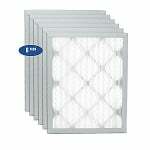 Purchase the Filters Fast Merv 8 Filters in a 6 Pack for less than $5 per filter. You get 1 case of 6 same quality and MERV rating filters for less than $5 per filter compared to $12.99 per filter for Filtrete. Click Here for More Information on the Filters Fast Merv 8 Air Filters.